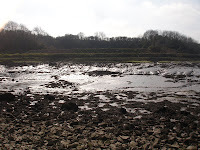 On 05.06.07 a Public Inquiry was held to give permission for this work to be carried out to an SSSI(Sites of Special Scientific Interest) and SAC(Special Areas of Conservation) on Pembroke River. Result Allowed, No harm to character and appearance of surrounding coastal area. No harm to SSSI or SAC. Two parties at the enquiry, Wynne Jenkins and PCC only. Why where when and where and who notified? Answers please. This was a Hearing before a Planning Inspector so legaly there is no requirement for notifying the public. I have written to PCC asking for evidence given by them to the inspector as it clearly conflicts with that given by CCW. To the planning officer PCC 24.06.07. 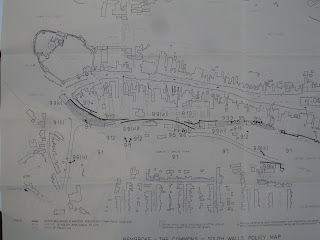 The walls denoted as listed under South Pembrokeshire District Council definitive map listings dated 16.05.83. 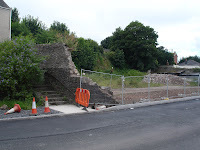 9.9(1X) have recently been demolished , would you make sure that they are reinstated at no cost to PCC. At the first inquiry I asked the PCC Footpath Officer to produce documents relevant to Mr Davies's claim, he said he could not. He left PCC. 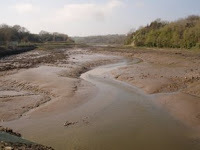 On the Monday before the second inquiry a retired Footpath Officer from Carmarthen CC was appointed to represent the PCC. At the beginning I queried the need for the reopenned inquiry as no new evidence had been produced. 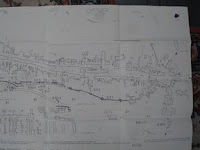 The PCC Officer in his evidence produced from the PCC folder a photocopy of Mr Davies's Land Registry entry and of the map attached to his conveyance. Both Mr Davies and his representitive from Landnet denied seeing either of these documents and denied that they could see the clear colured lines which showed the Public Rights of Way on this plan. The Rights of Way were entered in writing on his Land Registry. Before the hearing Mrs Davies told us not to bother to turn up as it had been" fixed"anywhere else but Pembroke we would have taken no notice of this statement. Mr Davies has applied to vary the order, we now have a definitive map on the 1910 Finance Act map showing that the footpath was not registered for taxation purposes. He is arguing that therefore it is not a footpath.